Sooooo lets share our pics of `beautiful babies`, whatever they are, to get the smile factor back if we are feeling a little blue, with all this rain!!! No doubting who his dad is. A grand little fellow. Verena, just noticed...has Eddie got a prophet`s thumbprint mid neck?? Yes babs it looks like he has!!! got to say i only noticed it this morning i have took some more pics of him out on the big paddock today will post them up seperately, he is a star! Verena he is stunning! 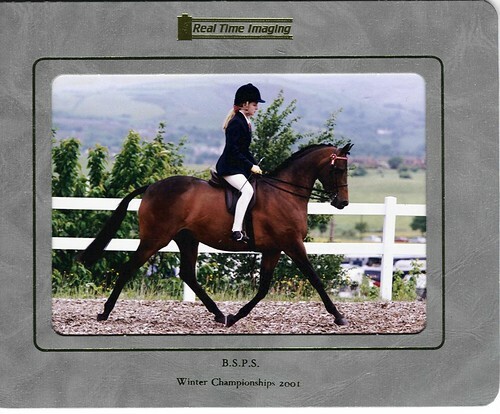 just like his mum, love that ridden picture of Amy taken competing. Come on post it up, i am sure this little fella will follow in her footsteps he`s a cracker. sorry annie only just noticed your post is this the picture you mean of Amy??? ?